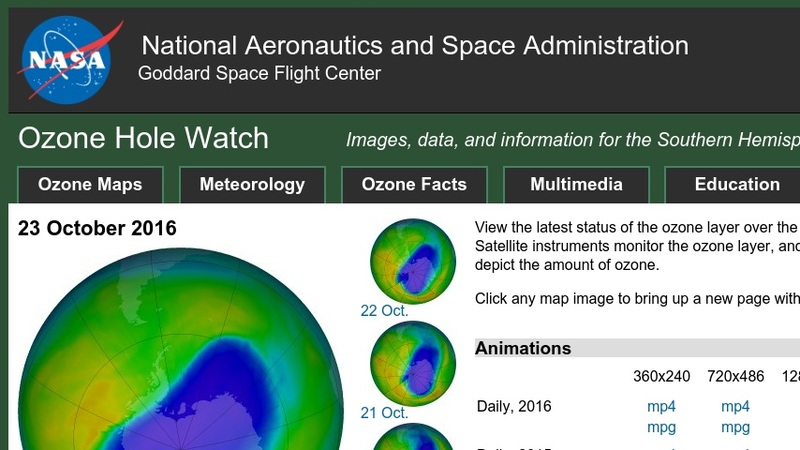 This is the Ozone Hole Watch web site, where you can check on the latest status of the ozone layer over the South Pole. Satellite instruments monitor the ozone layer, and their data is used to create the images that depict the amount of ozone. The web site also contains links for classroom activities and instructional materials.